Andrew submitted an excellent Common App. Personal Statement to Harvard, as published in “The New York TImes.” Was it a perfect admissions essay? Absolutely not. But it’s quite good nonetheless. “My dad and I made the ascent together. We climbed the Precipice Trail, the Acadia National Park path of lore whose steep cliffs and trail-side signs warning of death convinced more prudent hikers to turn around before the halfway mark. Resting, I gazed out beyond the dizzying drop below to the green Maine foothills and blue Atlantic Ocean. I appreciated the slight strain in my step, ready to move onward. My dad also stood, his hat crooked and backward, his shirt soaked through, still panting for breath. ‘I think we need a water break,’ I said, looking him over. ‘I think so, too,’ he replied. My relationship with my dad is a complicated one. In the halcyon days of my childhood, I remember our Saturday morning ‘dump runs’ followed by a stop at McDonald’s, where, as soon as he let me, I would order the exact same ‘Big n’ Tasty’ meal he would. Then, he took me hiking, camping, and skiing. His patient guidance and care on the trail stood in stark contrast to my frustrated, bumbling childhood clumsiness. I would whine and cry and yell on hikes too long or hills too steep; he would stop, listen and encourage me onward. With him, I was comfortable and secure. He could do no wrong. In time, as we both grew older, this changed. He lost his job and fell into a depression and an absent-mindedness I found hard to understand. Despite his dealing with a mental illness, I became more critical, more attentive to his flaws and shortcomings. He lost his glasses, got linguine when we asked for rigatoni at the grocery store and forgot my friends’ names. At family dinner he sat largely silent until he interrupted with a non sequitur or unrelated question. I promised myself, with all of my naïve bravado, that I would never make myself vulnerable like he did, that I would never wallow in past regrets or failures. I would be assertive, I told myself. I would be a man. So when I scaled that trail with so much comparative ease, I initially relished the fact that I walked ahead, I carried the pack, I checked in on him. I thought I was being a man. Sitting down, my dad’s breathing slowed, and he asked me, like he had so many times, if I had read David Brooks’s column that week. I hadn’t. So he filled me in. Listening to him discuss the necessity of imperfection in the democratic process, I felt a twinge of guilt. Guilt that I had fancied myself superior. Guilt that I had ever bought into facile standards of ‘manhood’; that I had imagined being a proper man meant unfailing vigor on a hiking trail, never dealing with switchbacks or setbacks, never losing your footing or your way. I looked at my dad and knew all of those notions about employment, competent hiking or getting the right type of pasta at the grocery store, were false. I looked at my dad and I saw that being a man isn’t about any sort of superficial, external measure. As it was during my childhood misadventures, it’s about us, the imperfect son with the imperfect father, supporting each other up the proverbial mountain. For me, the transition to manhood was not an external one: Fortunately, there was no rite of passage or singular circumstance that forced me to become a man. Rather, sitting there against a cliff with my father, I wondered if maybe adulthood simply meant looking beyond oneself, to the other, without any pretense or pomp. Maybe my father, with his unpretentious generosity and willingness to get back up and continue the trek, is the best example of a man I have. He finished up his thoughts about the Brooks article, his breathing still audible. Our Analysis: Andrew is an outstanding writer. He writes in a unique style, has an excellent command of the English language (something we find to be extremely rare among college applicants), and he’s self-aware and quite mature for his age. This essay is a rather profound reflection on what it means to be a man through his observations of his father. Is the essay perfect? Absolutely not. It’s a bit dull. There’s a bit too much telling rather than showing in his descriptions of his father. It would have been nice if we could see for ourselves what Andrew’s father is like without him having to tell us what is like. What did he see when he looked at his dad that made him think about his father’s employment status? When he cites the David Brooks article, it would likewise have been great had Andrew gone into detail about what this article was about and why it serves the narrative about how he views his father. Had he done this, it would have added a great element of intellectual curiosity, something vital in each successful Common App. Personal Statement. That said, the essay is still outstanding. Andrew did not earn admission to Harvard in spite of this essay. 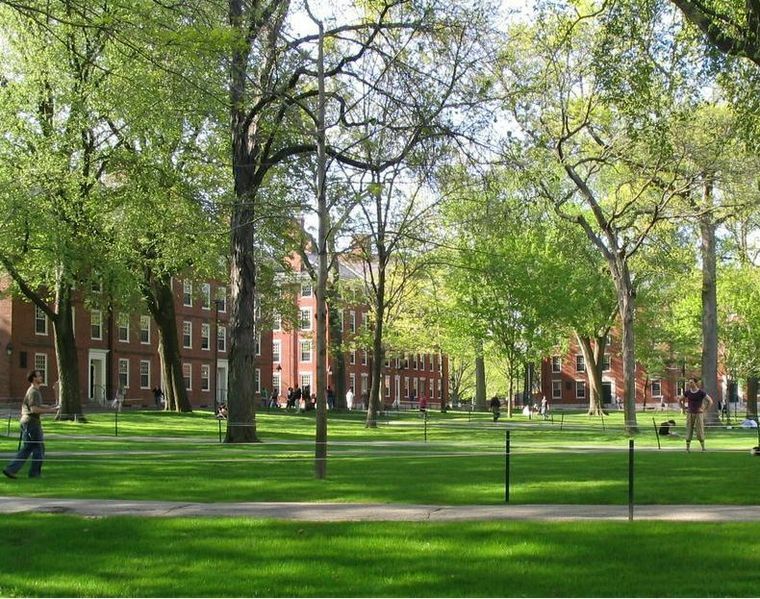 We’ve never seen Andrew’s grades, scores, letters of recommendation, application, extracurriculars, or supplemental essays (to name just a few things), but this essay would have only helped his case for admission to Harvard University.